Let’s talk about shelf life! When formulating your product, understanding the shelf life of the oils you are using is an important step in ensuring quality and longevity for your customers. If you’re anything like me, I don’t usually need to worry about the expiration of my cooking oils because I seem to go through them very quickly; that is, until a few months ago when I pulled out my grapeseed oil and opened the container. What a smell! While I usually love the smell of cooking oils (strange, I know), this oil smelled sour; it was the type of smell that immediately makes you want to throw the item in the garbage, tie up the bag, and toss it outside. Not the most appetizing thing to find right before making dinner, but it was really my own ignorance; after all, if I don’t use it and it looks fine, doesn’t that mean that it is fine? Turns out, no. No it doesn’t. There are many different types of oils, all made up of different properties and each one individual in its benefits. This can be a little confusing when you are trying to figure out the shelf life of your oils; keeping track of every expiration date can be a bit overwhelming! We’ve compiled a list of some of the most used oils to get you started. Apricot kernel oil-I’ve included this here, but be mindful that its shelf life can range from 6 months to one year. Check before you use it if it has been over 6 months. Coconut Oil-this can last a bit over one year, as always, check before use. Emu Oil-this oil can actually last several years, if properly frozen. Whew! Of course, that’s only a small sampling of the oils available, but the moral of this story is; make sure to check your oils before each use especially if it’s been awhile since you used it last. 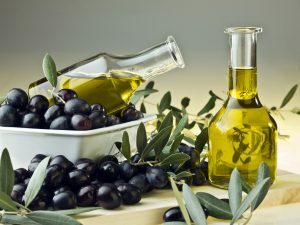 Anti-oxidants are substances that prevent oxidation in materials such as oils. Using an anti-oxidant in your product can help to extend its shelf life by preventing the breakdown of the building blocks of your lotions, scrubs, etc. Consider adding grapefruit seed extract or vitamin e oil to shield your oils from oxidation. Keep in mind, anti-oxidants are different than preservatives in that they do not contain anti-microbial properties; if you are producing a product that contains water or a product that may get wet in the container (like scrubs), check out our article about preservatives to understand how to avoid unwanted bacterial, fungal and mold growth. Keeping track of numerous expiration dates doesn’t have to be an insurmountable challenge. Use a binder/notebook or digital spreadsheet to keep track of not only the quantity of your supplies, but their expirations. This documentation will help you to gain a better understanding of the shelf life of your overall product, and also help you decide whether or not to add an anti-oxidant or preservative based on the expected time frame of your sales. Most importantly, learn from my grapeseed debacle-check your oils every time to avoid a sour final product!